Source's coffee is average. I must admit I wasn't expecting awesome coffee but it was nice. Source is more the cafe for nice smoothies, iced drinks, good food and awesome view. But for a coffee fix with breakfast you do get a decent cappuccino with it. Check out the pics of our various drinks below... and yes the smoothies and iced mochas taste as amazing as they look! So we are rating the coffee so we give it 7/10. Ahhhhh the food! As you all know I do enjoy a breakfast menu and Source Cafe has good breakfast menu. A1 & D2 both got breakfast burritos. When they go to Source they always get this. I understand why after tasting it oh bee gee bee gee! To got a salmon omelette which was also very good, very tasty. I couldn't help it but I got the eggs benedict with ham. The hollandaise sauce was perfection very yummmm, only criticism was the ham was plain shaved ham you buy for sandwiches. I hate to be a snob but I would've expected nice off the bone ham but that's me. Overall we gave Source's breakfast 8/10. You come to Source for the view. It's on the harbour and where ever you sit you can see the harbour and see people walk past, absolutely beautiful. Source doesn't have that hipster vibe that we all know I am obsessed with so trying to give a bit of variety. It's nice inside but being a bit of a snob again they may need table upgrades (not dirty just run down). But I am being critical. Overall atmosphere is 3/5. I did my first Park Run starting in Carrington which goes past Source Cafe making it a good choice. The nice sized breakfast made it a desirable place to go for post 5km run breakfast! We were all satisfied with great food, delish drinks and beautiful views. Overall we all recommend the amazing breakfast burrito for yourself and give rating 18/20. Where to Tea in Newcastle? I must admit I am a bit of a tea drinker at home. I've gotten into that tea frenzy that is taking over! Everyone knows T2 at Charlestown Square and The Tea Centre at Westfield Kotara. All things tea you can get them there. 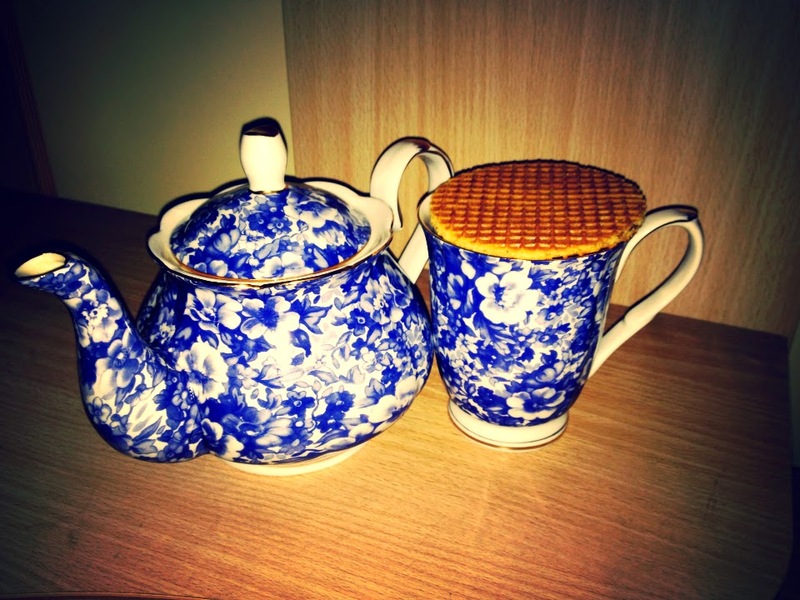 My afternoon tea with a Dutch mini waffle. Many thanks to guest blogger Dutchy for introducing me to these! The tea makes the waffle warm and sooo delish (get them in the international section in some Coles and sometimes some Woolworths)! Trying this with amazing coconut tea from T2. But where to go out for tea in Newcastle?